Choose one of you our special arrangements and offers and enjoy relaxed holidays at a very special place within one of the most beautiful regions of Germany. Indulge in romantic medieval athmosphere in our castle restaurant. At our 5-course candle-light dinner we serve you traditional dishes from the region. From the restaurant in the knights' hall or the cozy "Bauernstube" you have a magnificent view over the Rhine River Valley. It will be an unforgetable experience. 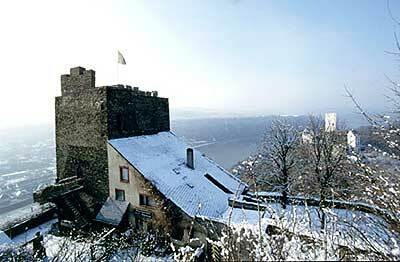 Spend the New Year's Eve in a romantic castel atmosphere at Castle Liebenstein.